From 1968-1976 I went to high school with Babette. At that time I barely met her. She was freed from sports and never had any spare time after school because she was always practicing the piano. In our school she was considered a musical prodigy who won one competition after another and played at the Berlin Philharmonic Hall at the age of eleven. We only got to know each other better much later – when we belonged to those few of our class who had not studied medicine or law, but were freelancers and thus had time for a meeting during the week. Babette liked Stralsund and will definitely come back. 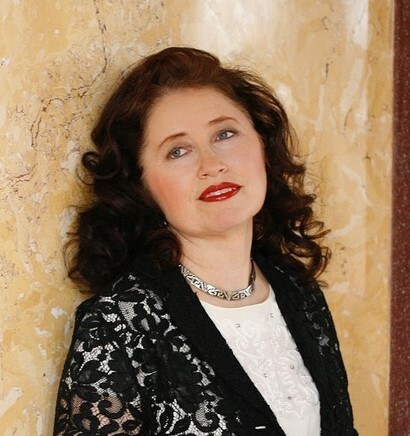 A house concert at Olof-Palme-Platz 1 is in the planning, and on May 23, 2019 Babette will give an open-air concert in the Bürgergarten in Stralsund on the occasion of the foundation of the Bürger-Philharmonie. I sent you a mail with infos and links to MELODRAMAS, just listen to „Enoch Arden“, or read the poem by Lord Tennyson, it’s an incredibly moving story about a shipwrecked person. It was one of Glenn Gould’s favorite pieces and the recording features Claud Rains, whom we all know as Captain Louis Renault from Casablanca. The topic of shipping and shipwrecked is indeed a topic, which fits perfectly with Stralsund! By the way, this year – in 2019 – it‘s exactly 155 ago that Lord Tennyson wrote „Enoch Arden“. Maybe there’s some way to do it right in one of the old buildings on the harbor island right by the water. Maybe it would be a good event for the Ozeaneum? From my experience I can only say that this piece, which takes about fourty five minutes, works extremely well with the audience, they all have tears in the eyes in the end. 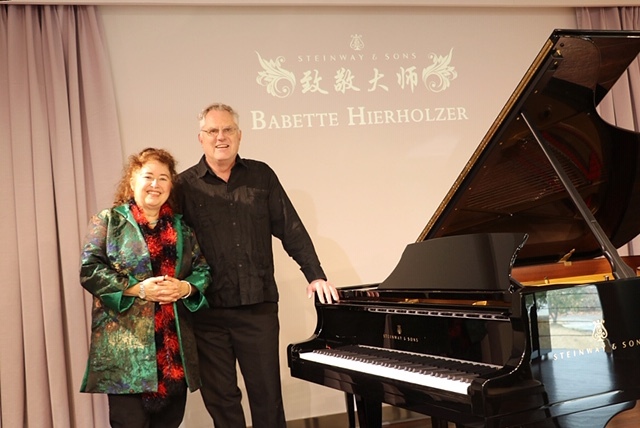 In mid-January, Babette will go to China, where she will give a master class and two concerts. It will be her first trip to China, where much is different. 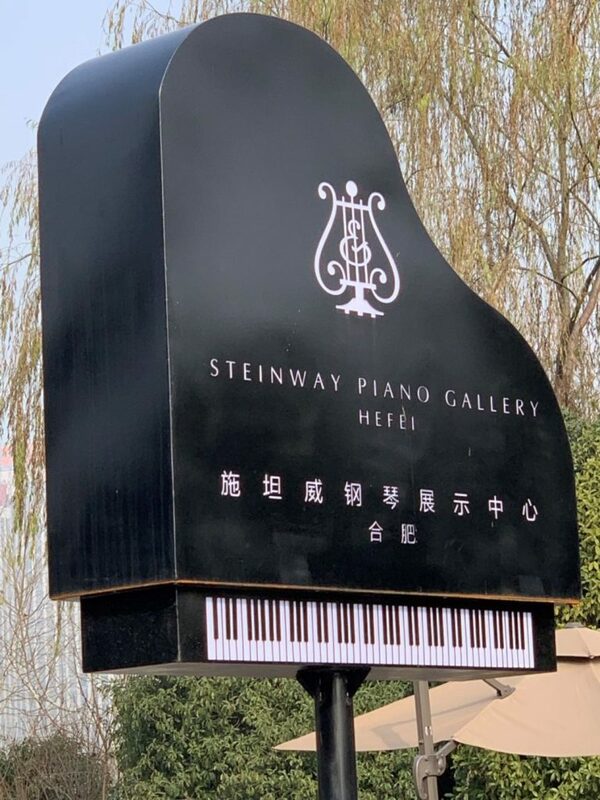 Where it is difficult, to organize a concert piano and where the audience does not applaud after a concert. 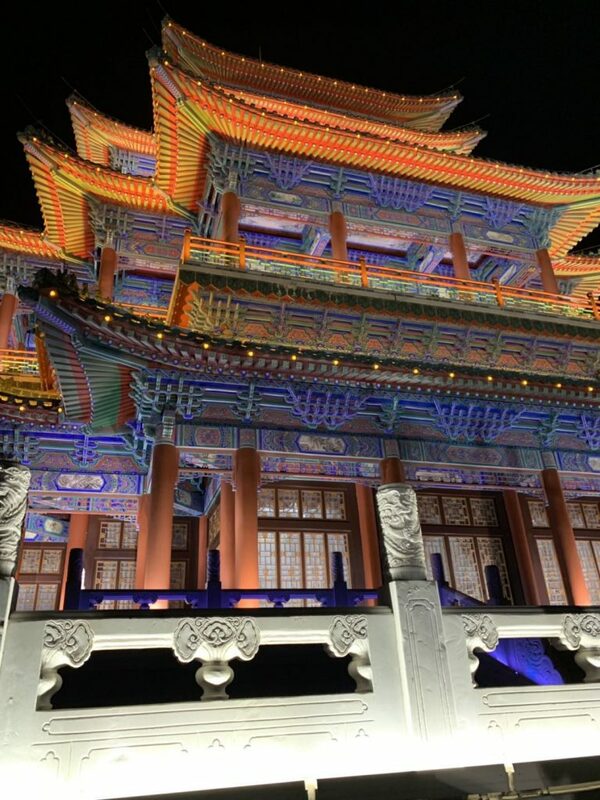 I’m thrilled that a trip from New York to Stralsund has led to a concert in Xi’an, the city of the Terracotta Army. 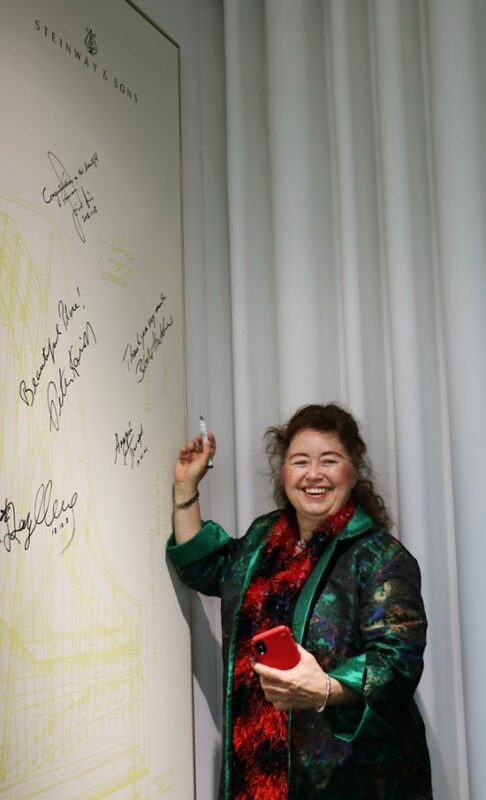 I’m curious to see what Babette will tell us about her trip and how the threads from Stralsund will continue to fly out into the world. 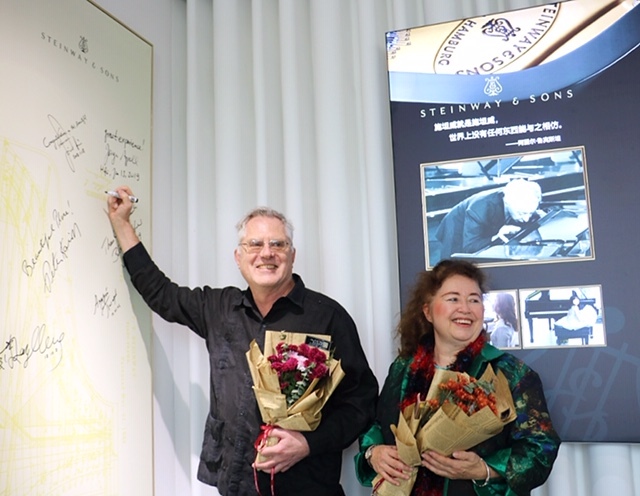 The event in the facilities of Steinway’s was organized extremely well and we owe Cassie from Steinway a big thank you for all her work ahead of our masterclass. We found ourselves in front of an audience which was highly motivated and very interested. The young musicians were very well prepared and had remarkable good technical abilities. That, no doubt, is the result of very thorough training. We met two of their involved teachers, who were equally interested in listening to our masterclass. When I asked one of the teachers, how many students he has, he proudly announced: two hundred! The audience was packed with families and young kids, and we had the impression, that they were equally interested. 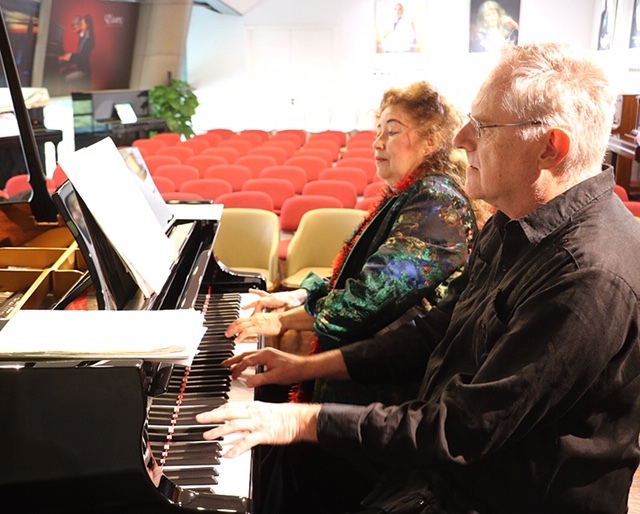 Jürgen and I played at the beginning and end of the event and we realized, that music worldwide has the ability to affect all cultures. No language barriers there! 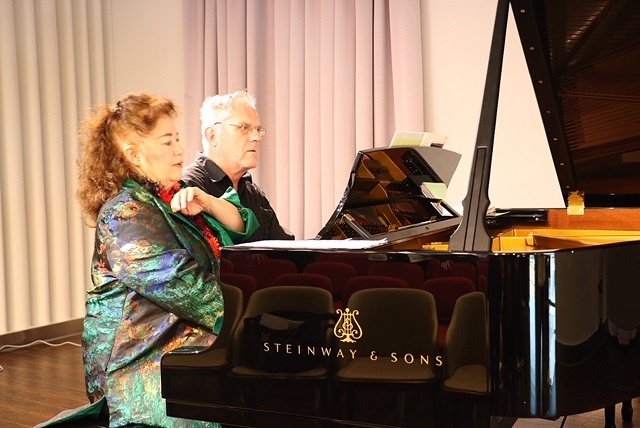 The tango “Por una cabeza” was recorded on numerous iPhones and soon our recording sounded in several places of the Steinway building ….. several young musicians asked, if they could make copies of our sheet music of our own four hand transcription of the piece, there again of course our answer was: yes! It was rewarding to hear the young musicians perform both: music by Mozart & Schubert but also a composition by Chinese composer Tan Dun. The obligatory queue of of families with the young musicians who wanted to have a photo taken together with us did not want to end. 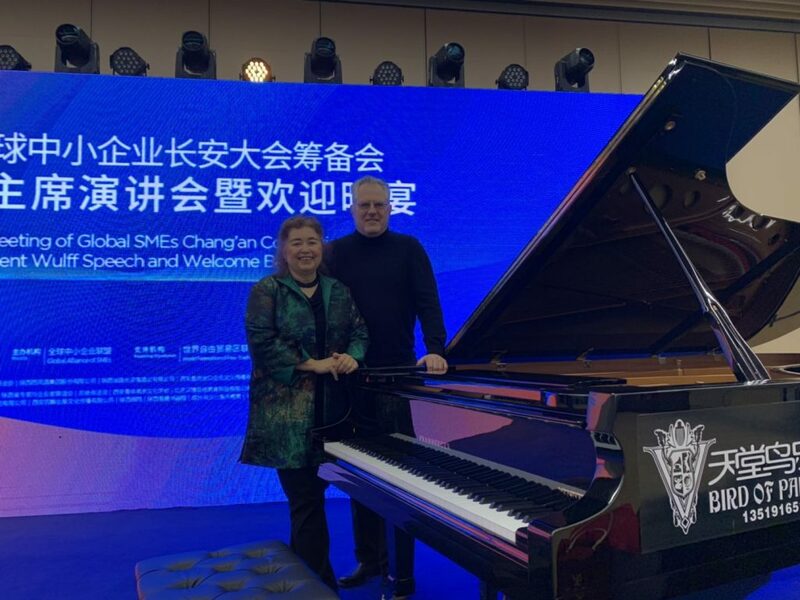 After our China debut at Steinway’s the next performance was scheduled at the „Annual Meeting of GASME Global alliance of Small and Medium Enterprises) in Hefei. 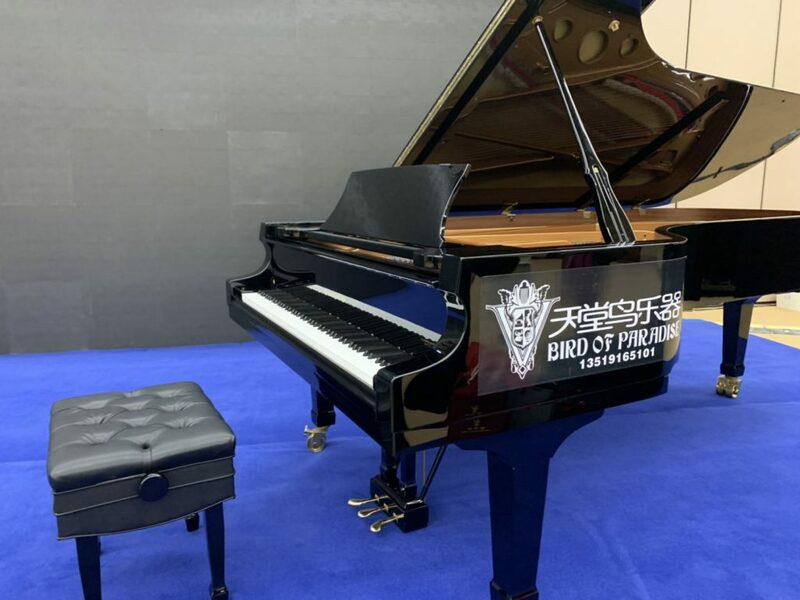 Thanks to the promotion of Steinway Piano Gallery we played on a nice Steinway B model instrument, by the way in a midnight blue color. 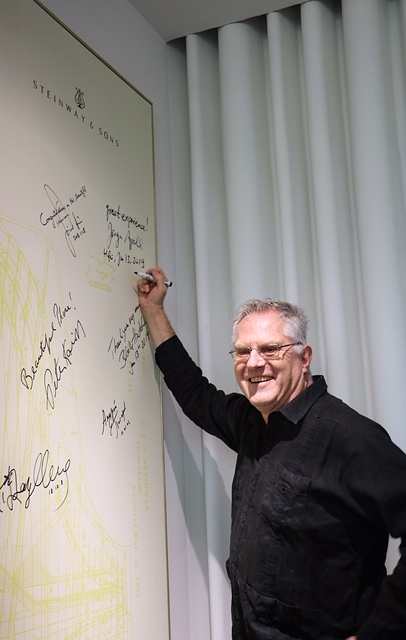 From now on, we are part of the delegation of the former President of Germany Christian Wulff, the Global Chairman of GASME, and are enjoying the luxurious planning and execution of all the events. We don’t have to worry about anything. Zoe and Frank (General secretary of GASME) have us in their hearts and we are equally excited about our new friends. In general, it is a very nice feeling to be part of a “team”. You can exchange ideas this way and learn much more about country and its people. The morning breakfast in our five star hotels is amazing and covers pretty much everything what we would eat for lunch and dinner: starting with a variety of noodle soups, sushi, any type of meet, fried vegetables, meat dumplings, fish but also variety of fruits, cereal and juices. Dragon fruit looks decidedly more interesting then it ultimately tastes when you eat it. Maybe that’s the reason why it is eaten with orange juice. The Chinese tea ceremony is taken very seriously and we tried today’s specialty which was a type of lentil soup with spicy pancakes – delicious! We already visited two malls: „Together Mall“ and „Wanda Mall“. Even though all the malls seem to be interchangeable worldwide with the same variety of brand-name clothing and perfume stores and the ever present existence of Starbucks, KFC and McDonald’s, I was surprised about the variety of a number of children stores selling children’s toys and children’s clothing. Stores are located on every floor also plenty of children’s playgrounds with dinosaurs and mega big LEGO stones. But what is a machine called: FATE BOX? 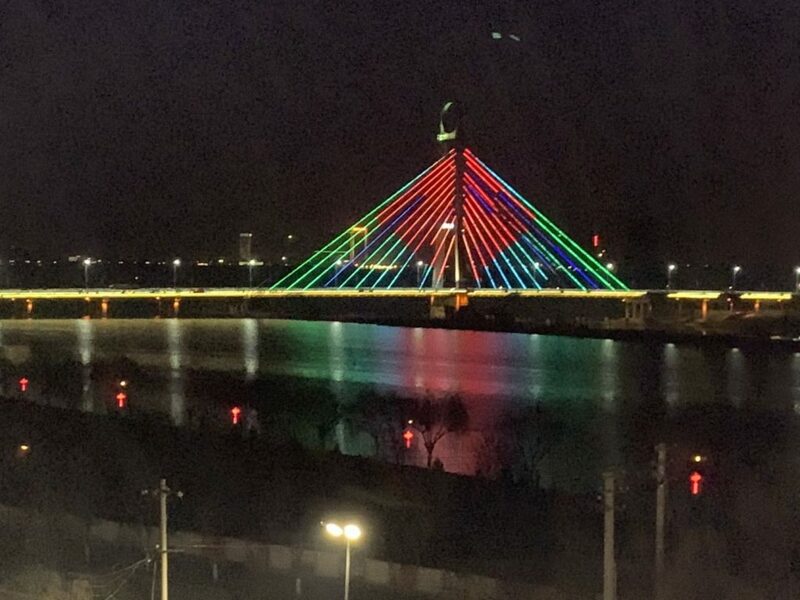 In Hefei we learn more about the Yellow Mountains (Stralsund is partner city of Yellow Mountains City, the entry gate to the Yellow Mountains), which are considered a unique attraction. Laotse said: “Whoever visits the Yellow Mountains does not have to visit any other mountains in his life.” Well, that is mystery and challenge at the same time to return and visit the mountains at a trip in the future. 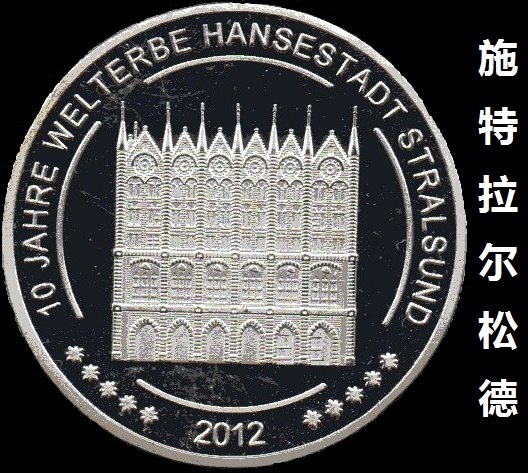 On the next day we leave Hefei, the provincial capital City of Anhui, which has about 63 million inhabitants, roughly the size of Germany. By plane we travel to Xi’an and land after a two hour flight. The airport must be enormous, as we taxi forever after landing before we reach the terminal. 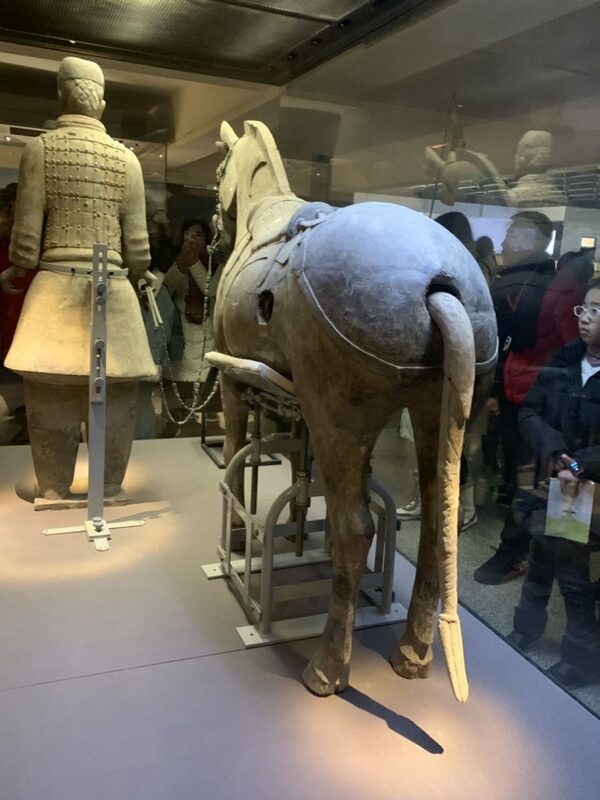 Since we will perform on the next day at the “One Belt One Road Chang’an International Forum”, we have only the one morning to fulfill a lifelong dream: to visit the Terracotta Warriors exhibit. Together with a driver and an interpreter we start out early in the morning. The weather has a surprise in store: For the first time we see blue skies and the sun breaks through, what a contrast to the severe smog in Hefei. After a forty-five minute car ride we reach Lindong. This is the location where in 1974 a local farmer discovered one of the biggest archeological sensations, when he was digging for a water source: the gigantic funeral area and gravesite of Emperor Qin Shihuang. Similar to ancient Egypt this emperor spent a considerable part of his life planning for his afterlife. 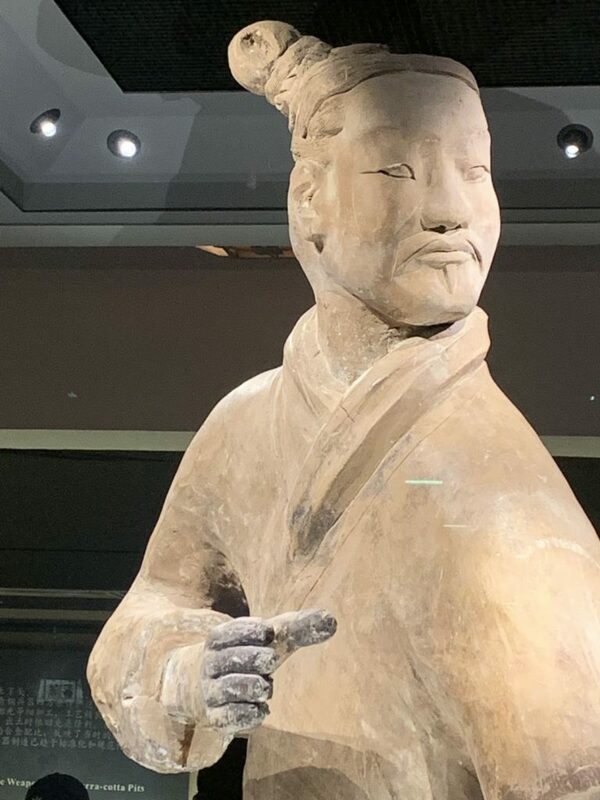 In order to enable him to continue his luxurious life in the afterworld, he contracted 700,000 workers in order to built his mausoleum and a huge army of terra-cotta warriors including horses with carriages, who were supposed to protect and defend him in all four directions. The sad fact, that all the workers had to pay with their lives (they were buried alive), was the logic premise for the emperor to keep the exact location of his mausoleum secret. Today one can visit three large excavation pits. Even though I had seen many pictures and books of this attraction before I was not prepared for the gigantic size of the area. Pit 1 is definitely the most impressive, because all the warriors and horses are in pristine condition. Each warrior was hand made and has has individual features, no two warriors look alike. I personally was most fascinated by the horses. Just like the warriors each horse is of different age and has individual features. I especially liked the smaller, more robust Mongolian horses. Pit 2 and 3 provide insights into the reconstructions and repairs of damaged and broken figures. More burial mounts which wait for excavation. By the way, all warriors were originally painted in bright colors, and there are some tracesif paint residues. 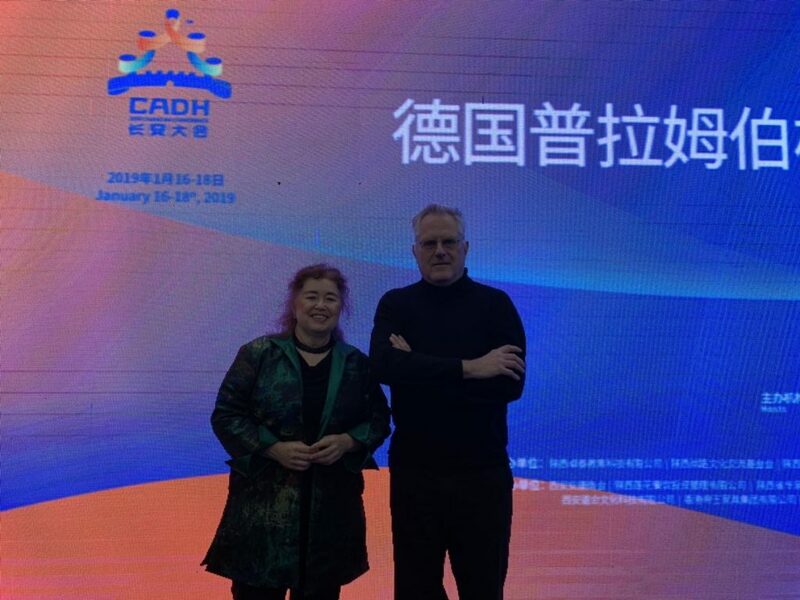 In the evening, our program could hardly have provided a bigger contrast as this event took place in the new Convention Center in Xi’an, with all it’s high tech installations. 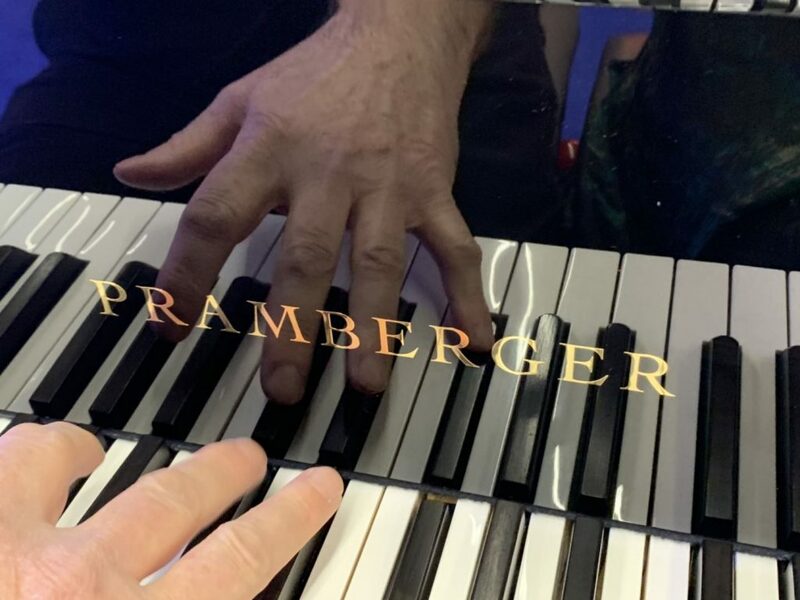 We performed on a very good concert grand piano by PRAMBERGER with the lovely name: “Bird of Paradise”. 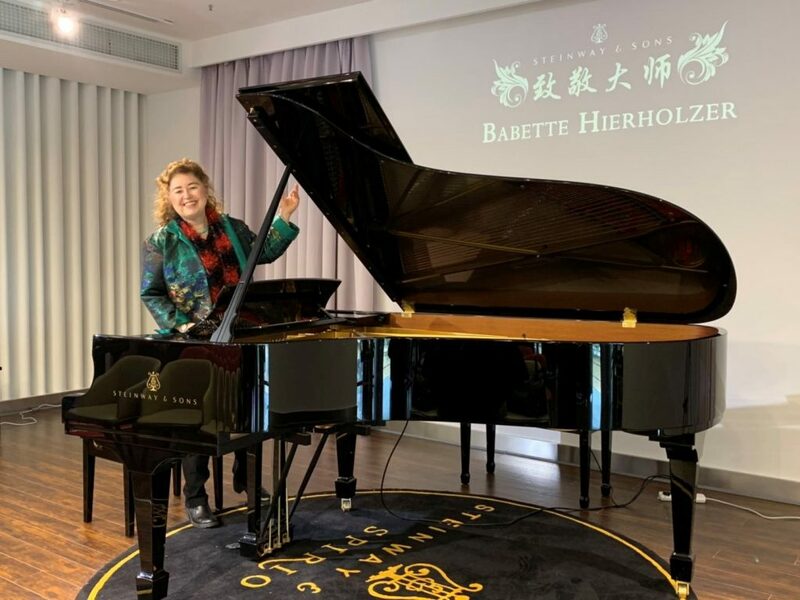 For the former German President Christian Wulff we had prepared a special encore by Chopin, as we found out that Chopin is his favorite composer. Little did we know, that former President of Poland, Bronisław Komorowski and his wife were also attending. 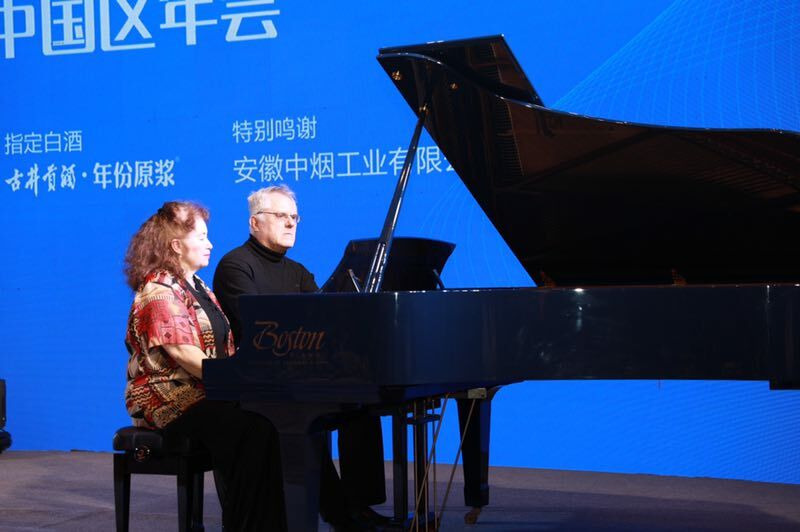 The former Polish President was visibly moved and said to us: “So I do have to travel to China in order to hear two German pianists play Chopin for me”. 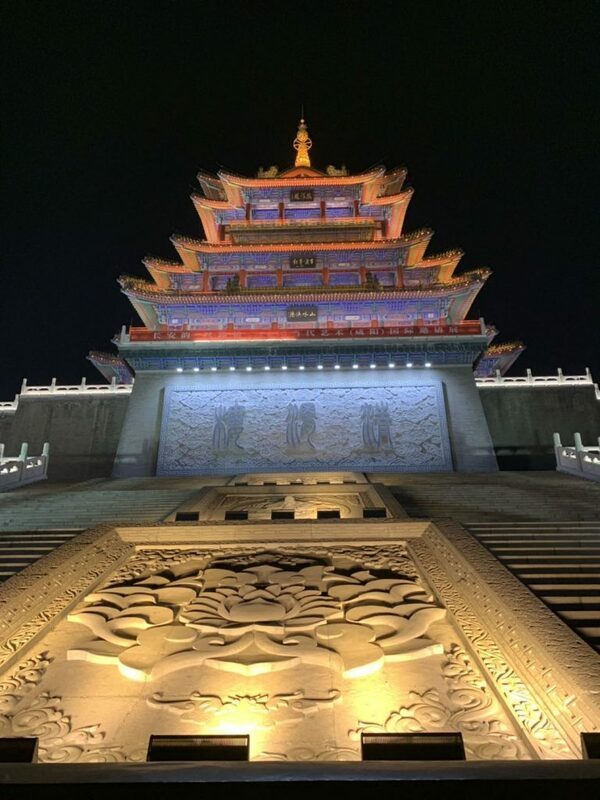 A late night visit of the Weiqinglou Art Gallery, where we were treated to a special guided tour by the gallery’s director, gave us a change to see incredibly beautiful Chinese Art and to overlook parts of Xi’an from this incredible Pagoda. It was a moving ending to this amazing day. 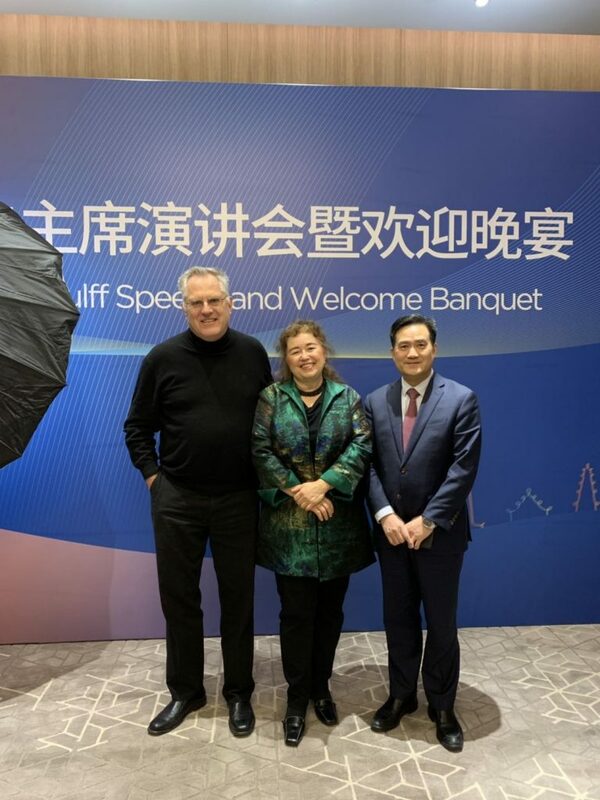 Our first trip to China was short in days, but incredibly rich in experiences and new impressions. 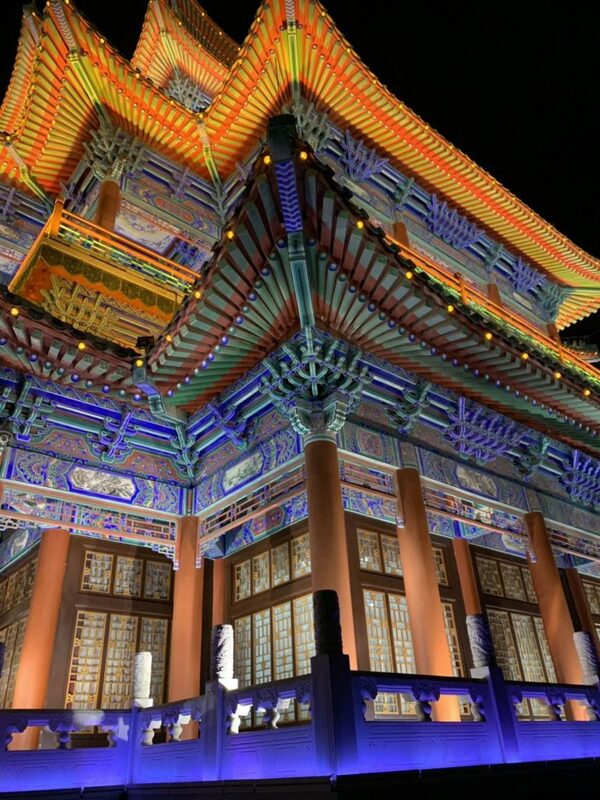 I feel a great sense of curiosity and interest in the Chinese culture, geography and mostly the people of China and hope that I will have another change to visit this country’s again.